Assuming the bull trend is in its nascent phase, it’s time to look for entries in some altcoins. Altcoins will generally outperform the ‘majors’ when a new expansion phase begins. Let’s look at some of these buy zones. IOTA has expanded nicely into it’s 45-degree line (middle diagonal line). 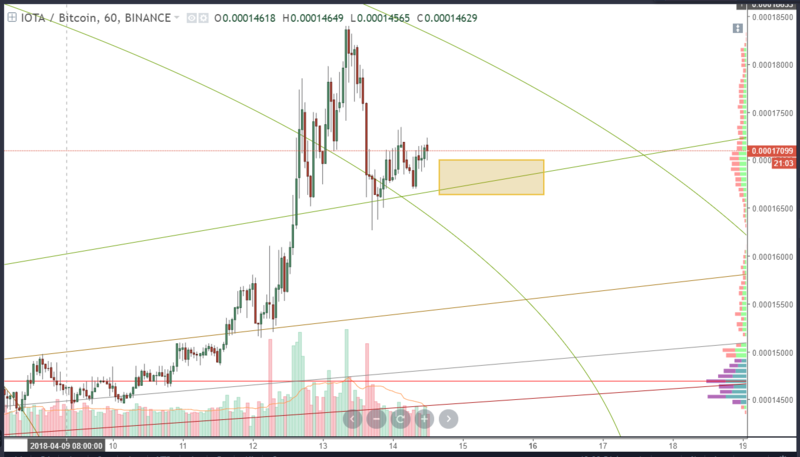 The highlighted box represents a good buy zone based on the hourly chart. When prices are trading on this 450-degree line, this means that price and time are in equilibrium. 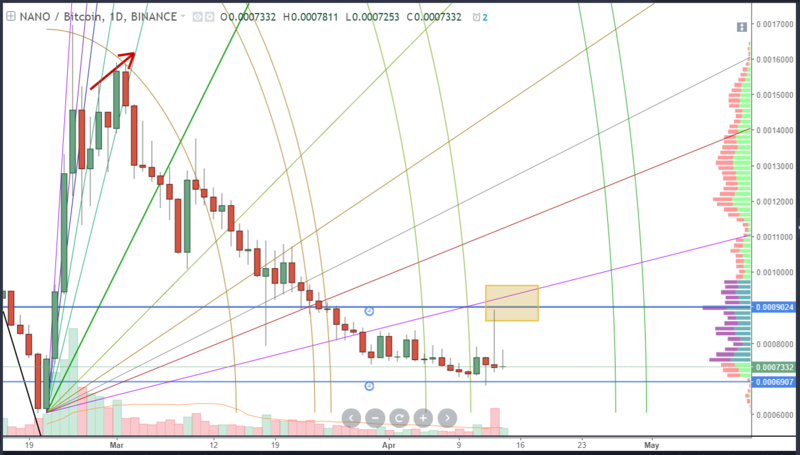 ADA, like almost every cryptocurrency, has crossed above its 45-degree angle. 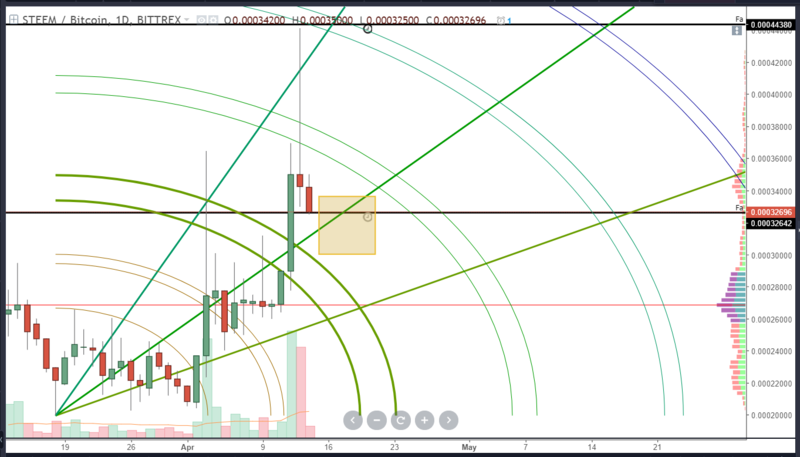 However, unlike IOTA, ADA is certainly extended on its recent move. It found rejection on the 2×1 line (highest diagonal line) which means that price was traveling twice as fast as time; aka overbought. This provides a good opportunity to have a re-entry on this much-anticipated cryptocurrency’s bull run. I can leave the fundamental analysts to determine which rumors or ‘pre-revenue’ projects have the most growth, but certainly, NANO is one of those. Amazingly, NANO has significantly underperformed the entire market. Personally, I missed the entries lower so I am happy with the current value area. 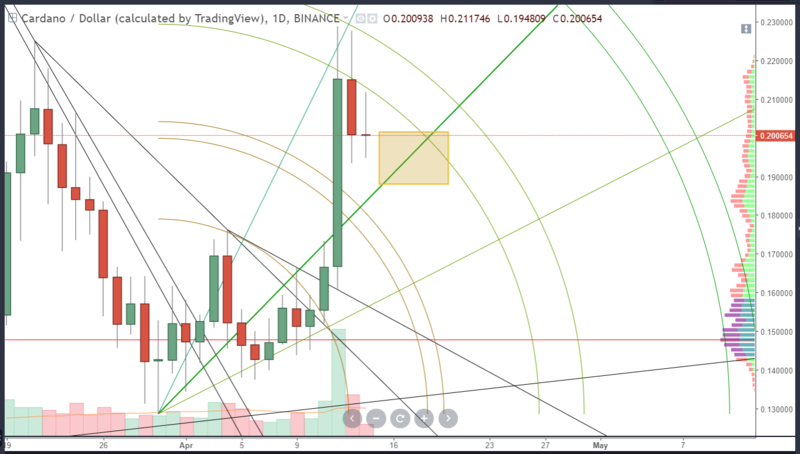 However, more conservative (if there is such a thing in cryptocurrencies) traders may want to wait until price at least trades into a harmonic angle, or right before. One of my personal large holdings is STEEM. It’s more than likely going to be the new ‘Facebook’. Its social media component is growing and attracting significant volumes of new users. What’s more impressive is that this was happening when entire cryptomarket was making its bear move. So this tells me that STEEM is one of the only projects that actually have a working deliverable that has grown. And there is another opportunity to add to current positions.